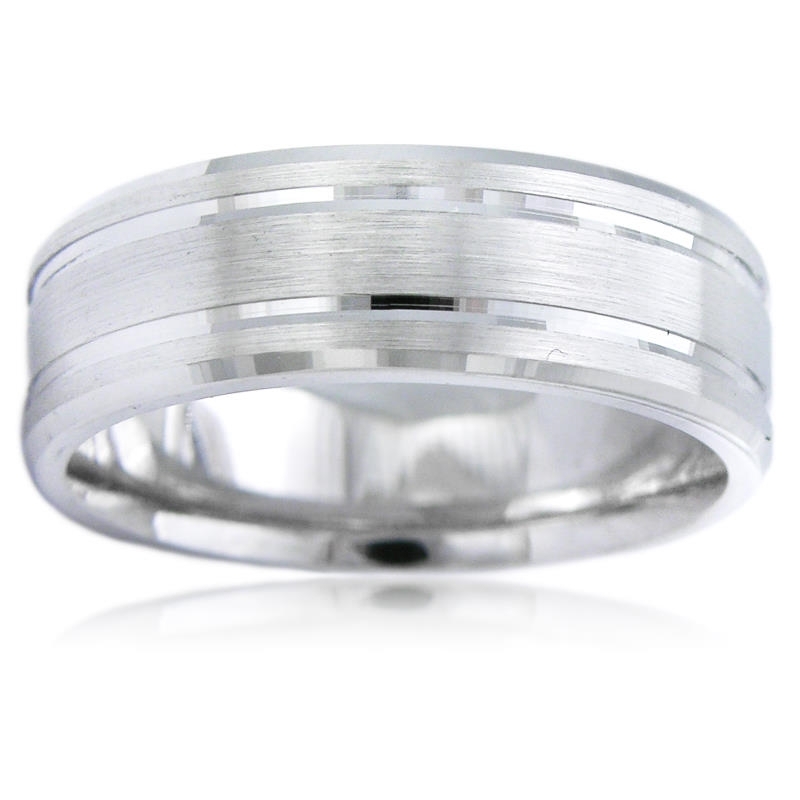 Ring Details: 14k white gold with a satin and polished finishes with polished beveled edges around the band. This handcrafted men's 14k white gold wedding band, features matte and polish finishes with polished beveled edges running all the way around the band. 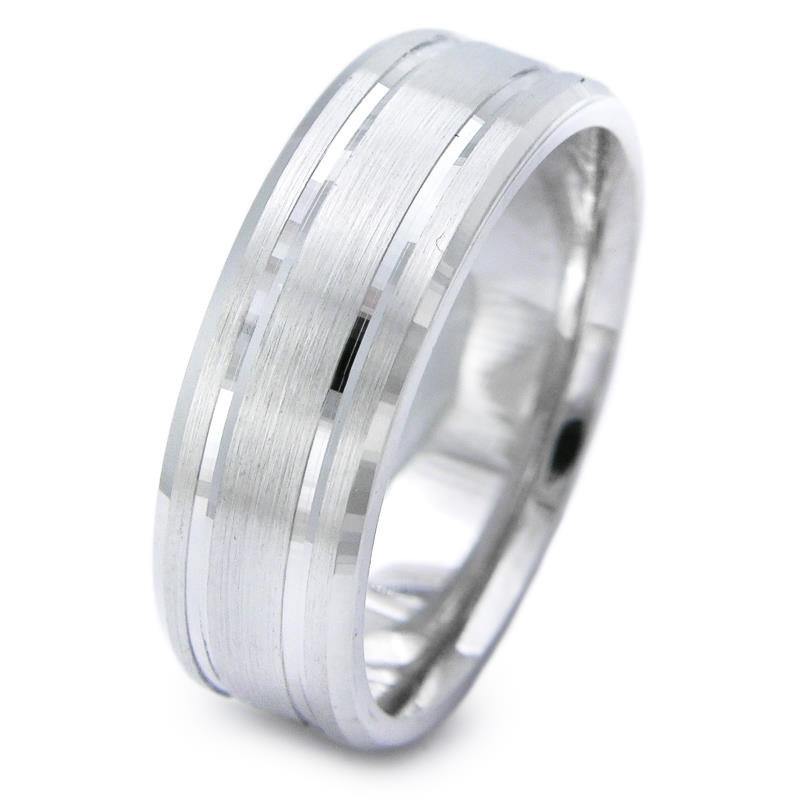 You'll love this ring!